This recipe is perfect for people who crave fruit more than chocolate. 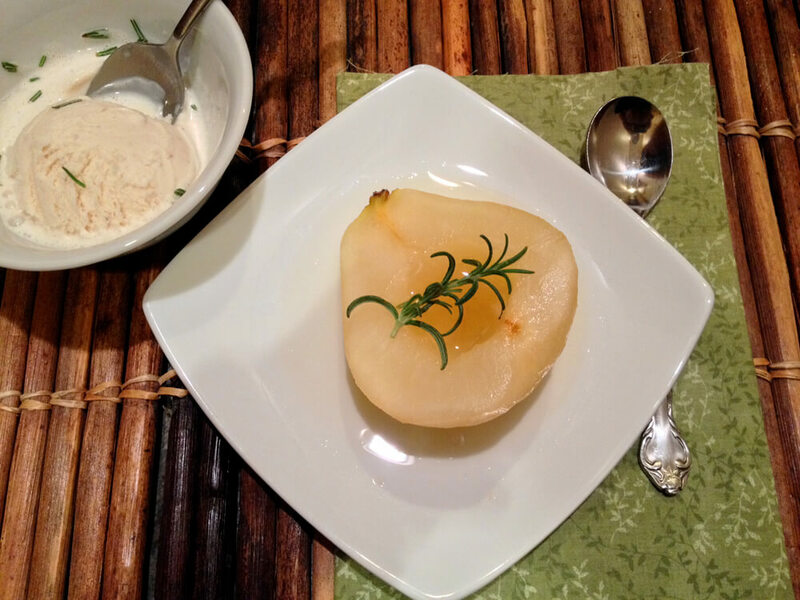 I used my SousVide Supreme to cook the pears, but you can also poach the pears in the same liquid in your oven at 350F until soft; just be sure you have enough liquid to filled cover the pears. The rosemary compliments the sweetness of the honey so well. Serve with Tahitian Vanilla ice cream for a delicious and simple dessert! Heat wine, lemon, honey, water and rosemary in a small saucepan until simmering. Vacuum-seal all ingredients in a sous-vide bag. Cook in water bath at 183F for 1 hour. 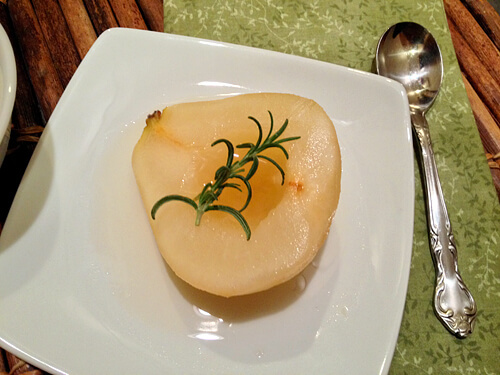 Drizzle cooking liquid over pears and serve with vanilla ice cream.